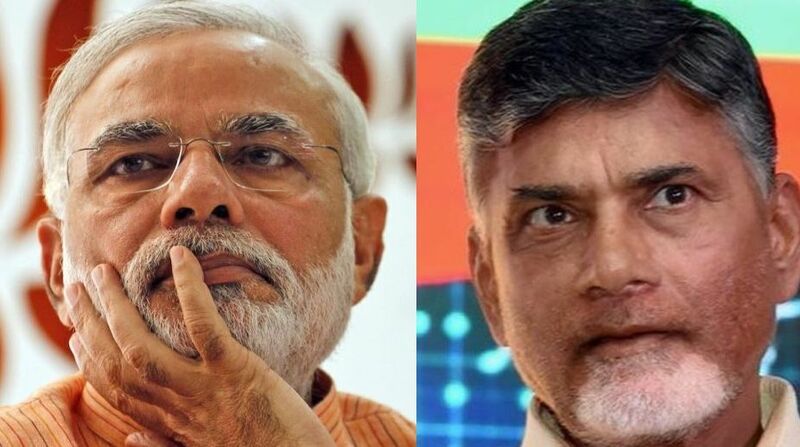 A day after the Modi government completed four years in office, NDA’s former ally Telugu Desam Party (TDP) chief described it as a “government of more talk less action”. Addressing the 34th ‘Mahanadu’ or annual conclave of his party, which began here, he also predicted that regional parties will come to power after the next general elections and that his party will play a crucial role in national politics. It is the first TDP conclave after the party pulled out of the BJP-led National Democratic Alliance government in March over the Centre’s refusal to accord special category status to the state. The TDP leader slammed the Modi government, saying none of its populist slogans like ‘Make in India’, ‘Startup India’ and ‘Standup India’ yielded the desired results. “Has anybody benefited from Modi’s schemes?” asked the TDP leader in his inaugural address at the three-day meet. He said demonetisation destroyed the Indian banking system and people had to run around the banks to get their own hard-earned money. He alleged that the Goods and Services Tax imposed a burden on the common man. Naidu said people lost confidence in the banking system due to scams. “According to a survey there is 61 per cent corruption in the central government. What is your answer?” he asked his audience. He reminded the BJP of its poll promise to implement the Swaminathan Commission report to bail out the agricultural sector. Naidu remarked that BJP’s claim of being a party with a difference is ridiculous as its leaders were caught red-handed while trying to buy MLAs in Karnataka. The Andhra Chief Minister said that Modi faced a public protest in Tamil Nadu for interfering in the state’s politics by using the Cauvery water dispute as an excuse. The Chief Minister also alleged that the central government is taking revenge on Andhra Pradesh for demanding fulfilment of the commitments made by the then government when Andhra Pradesh was bifurcated to carve out Telangana state. Naidu also claimed that the Modi government tried to take over Tirupati temple under this conspiracy. He warned that anybody resorting to such a move will have to pay a heavy price. Declaring that a special category status is the right of Andhra Pradesh, Naidu said he would not to rest till this was achieved. Naidu predicted that regional parties would form the government at the Centre after the 2019 general elections. Amid loud cheers from his party cadres, he said the BJP’s dream of retaining power will remain unfulfilled. The TDP chief told the delegates that their party will retain power in the state and play a key role in national politics also. Stating that the TDP has 70 lakh workers, he said only it could build a new Andhra Pradesh and bring a change in national politics. Party delegates from both Andhra Pradesh and Telangana are attending the conclave, which will pass 34 resolutions on various issues. The key political resolution will be adopted on the last day.